San Jose, CA – October 25, 2015. The JM Internet Group is issuing an alert on its blog and via online press release that the no cost book review program for the Social Media Marketing Workbook ends on October 31, 2015. Current promotional pricing of 99 cents for the Kindle edition, and just $8.25 for the paperback will end on that date. Prices will rise to $9.99 for the Kindle edition and $31.50 for the paperback effective November 1, 2015. To learn more about the Social Media Marketing Workbook and request a review copy by October 31, 2015, please visit https://www.jm-seo.org/?p=2667 or on Amazon at http://bit.ly/smmworkbook for promotional pricing. 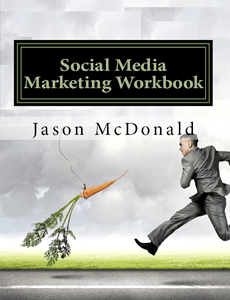 The Social Media Marketing Workbook is a first edition of ideas, tactics, tips, and tools used by Jason McDonald in his online classes as well as classes in the San Francisco Bay Area, including Stanford Continuing Studies. The reality, however, is that few people outside the San Francisco Bay Area were aware of Dr. McDonald’s innovative techniques in social media marketing. By completing the book this summer and launching it on Amazon, Dr. McDonald sought to reach a wider audience of small business marketers and owners who want to understand how to market on Facebook, Twitter, YouTube, Pinterest and other social media networks. The no cost review program made this even more powerful, as participants could get no cost review programs on the website, or buy it on Amazon at deeply discounted promotional pricing. However, this program must end on October 31, 2015, so that the book can become revenue positive for the JM Internet Group. 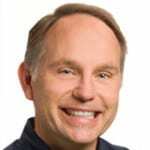 This entry was posted in Press Releases and tagged Books, Social Media Marketing on October 28, 2015 by Jason McDonald.